The Chinese language contains many idioms that make use of animals. Learning these idioms is essential in facilitating your comprehension skills in the Chinese language. Knowing how to use these idioms will further make a conversation more lively. 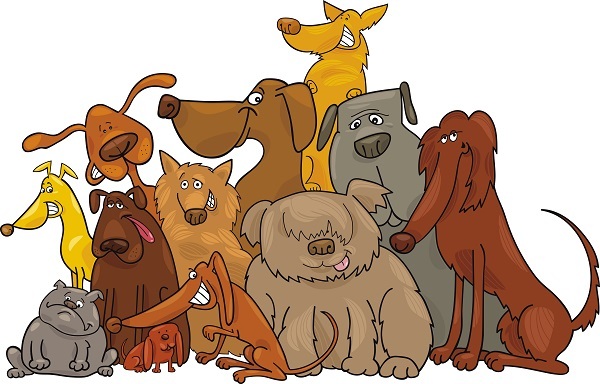 Below we list some popular Chinese idioms that contains the word “dog”. Often these idioms include two animals in one phrase. Used to describe a society that is stable and peaceful. A phrase that means when the parents or ancestors possess talents, the descendants will not be mediocre. A phrase that means willingness to serve and be directed by others. An analogy for an aide who is in love with a monarch. Used to describe a quiet country life. For more idioms about rooster, click here. Used to describe a studious person from a poor background. The literal translation means “an elephant’s tusk will not come out of a dog’s mouth”. Used to indicate that a bad person will not say good things. Used to describe someone who looks down on others. A metaphor for things being unpredictable. Literally, this phrase means one needs to know who the master of the dog before hitting it. It means when handling bad people or matters, one must take into consideration the overall parties involved. A metaphor for scolding someone happily. A metaphor for a person who likes to give bad ideas; also used to refer to someone who deliberately gives bad ideas. Learn Mandarin online today with our Chinese for Professionals course.